West Kelowna Warriors forward Willie Reim has been named the BCHL Player of the Week for the week ending Dec. 2, the league announced Monday. The 19-year-old native of North Oaks, Minn. had eight points in four games this week as the Warriors took three of four contests. Reim started the week by scoring the game-winning goal and adding an assist in his team’s 4-3 home win over the Langley Rivermen on Tuesday night and was named the FortisBC Energy Player of the Game. West Kelowna then headed on the road for the weekend, beginning in Nanaimo where Reim had a pair of first-period goals, added an assist and was named the game’s second star as the Warriors beat the Clippers 7-5. The next night, the Air Force commit tallied his team’s lone goal in their only blemish of the week, a 4-1 loss to the Cowichan Valley Capitals. Reim, who leads the Warriors in scoring, finished off his solid week with a two-assist performance on Sunday in a 6-1 win against the Island Division-leading Victoria Grizzlies. 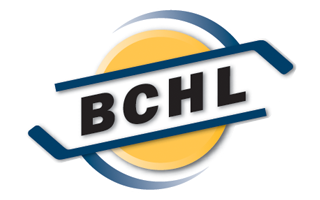 After his high-scoring week, Reim has now climbed into a tie for seventh in BCHL scoring with 40 points (17 goals, 23 assists) in 31 games. © 2019 West Kelowna Warriors. All Rights Reserved.